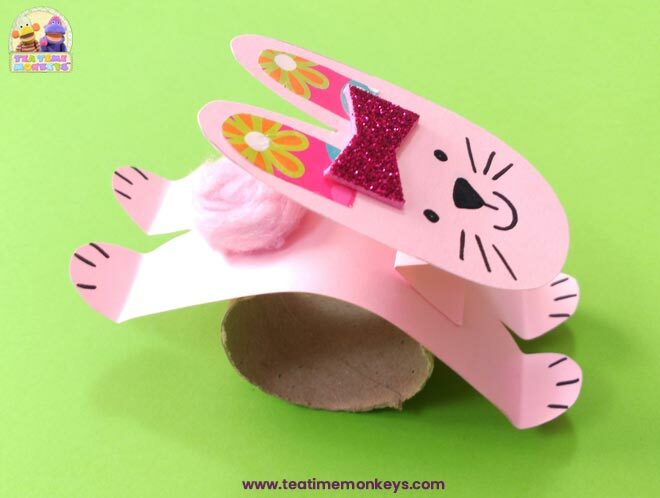 This cute rabbit craft is so easy that your little ones can make a whole field of them in all different colours. 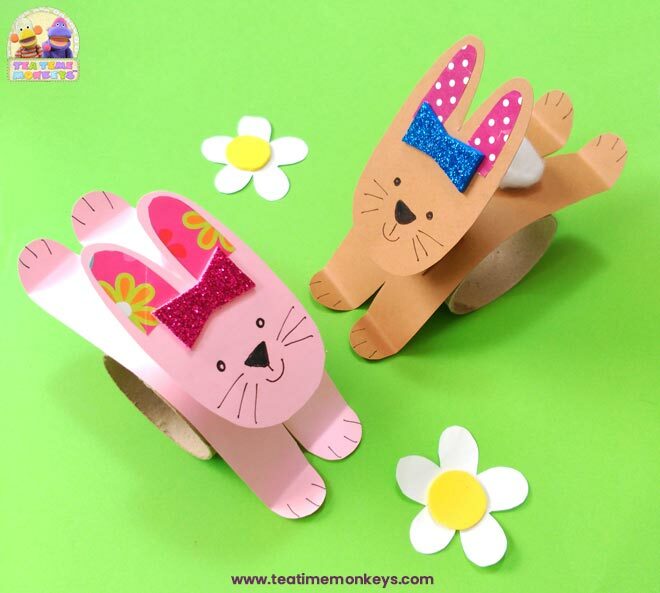 The bunny rocks backwards and forwards so children can have fun pretending it’s jumping and frolicking around! 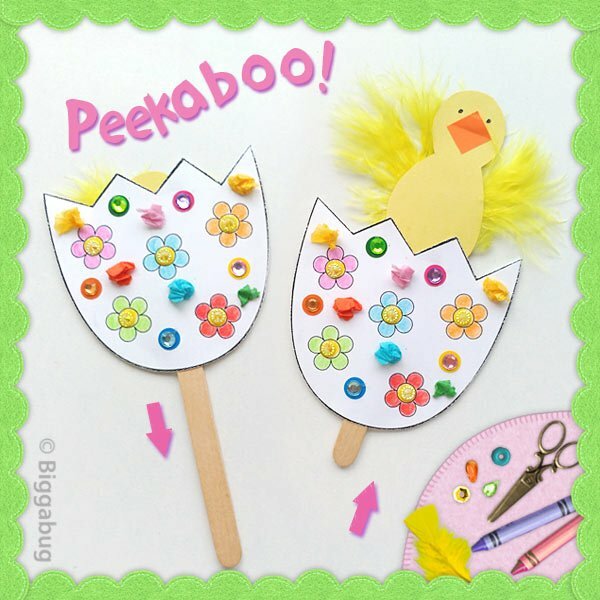 This is a great craft for Easter or spring themes, and it doesn’t require many materials to make. You can download a FREE template for the bunny at the end of the post. 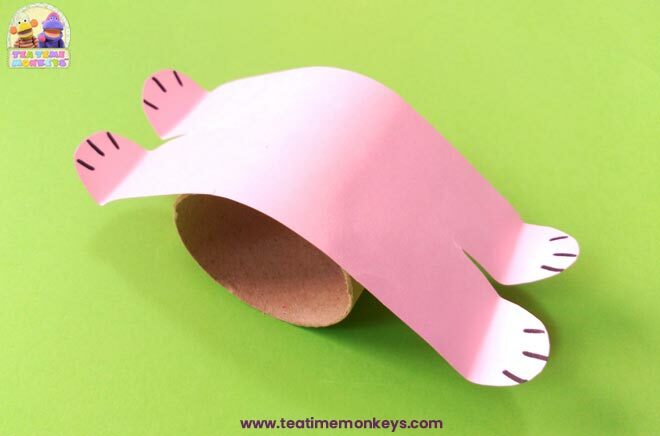 If you are making this craft with one child you can print out the page marked "Individual". However, I've also included a template page designed for groups with 2 copies of the template pieces on the page to save paper. 1. Cut the toilet roll tube in half. 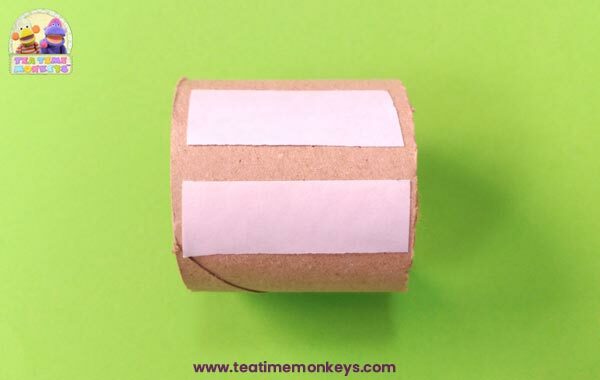 If you use a kitchen roll tube cut it into four equal length pieces. I used a toilet roll tube that measured about 4.5 cm in diameter – I found the bunny rocks better on these wider tubes than on the narrower ones. 2. Download the template file (see end of post for download box). Print or trace the template pieces onto card and cut out. 3. 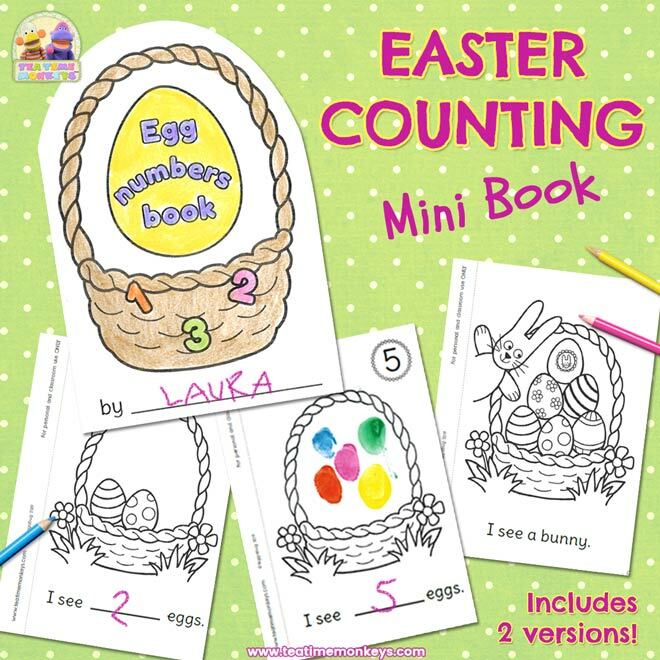 Draw the bunny’s face and paws. 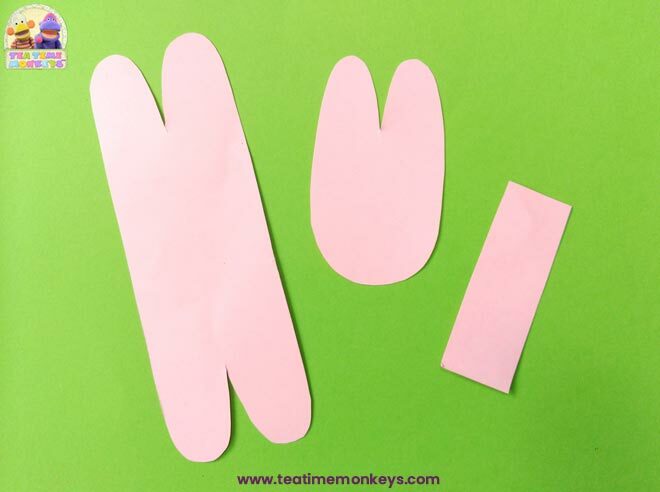 Cut some rounded strips of decorative paper for the inner ears and stick on. 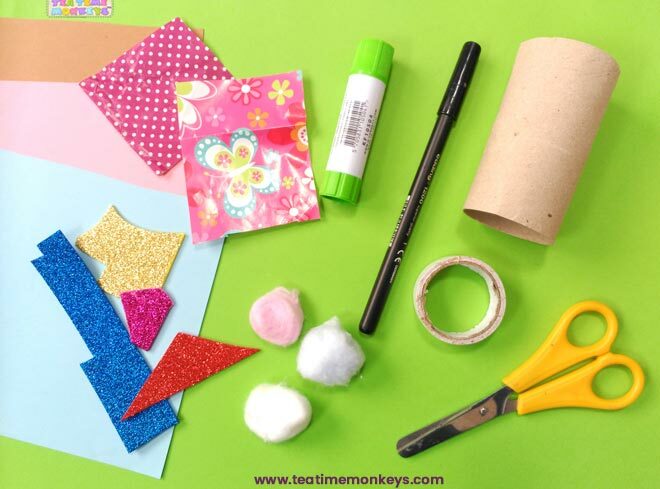 Cut a simple bow shape from glitter card and stick on to the head. 4. 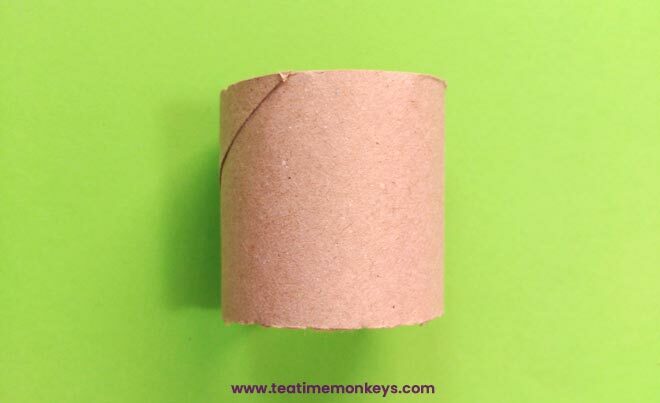 Stick a couple of strips of double sided sticky tape on the toilet roll tube as shown in the photo. 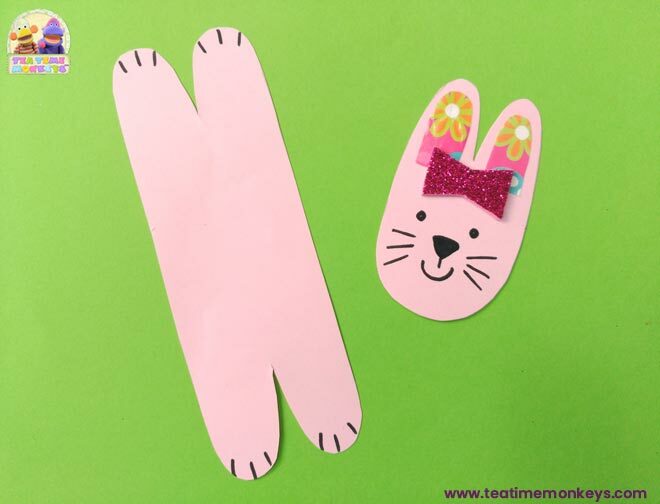 Peel off the paper and stick on the bunny’s body. You could use glue, but I’ve found the body doesn’t stick or stay on as well. Fold up the ends of the legs to make the paws. 5. 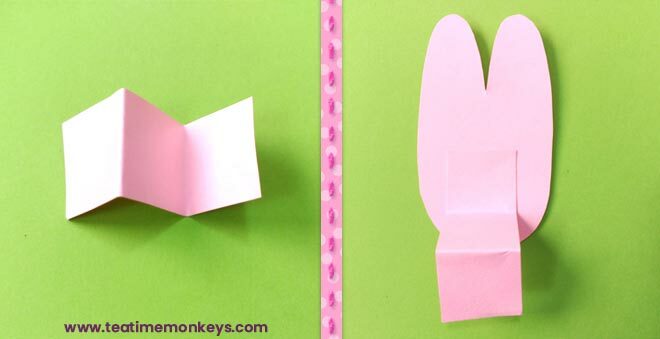 Take the strip of card and fold like an accordion - make 3 folds. Glue one end to the head and the other to the body. The head will stay up better if you glue the accordion strip to the head with the end pointing up rather than down as shown in the photo. 6. Finally cut a cotton ball in half and glue it on to make the tail – or use a small pompom. 7. Your cute little bunny is finished! 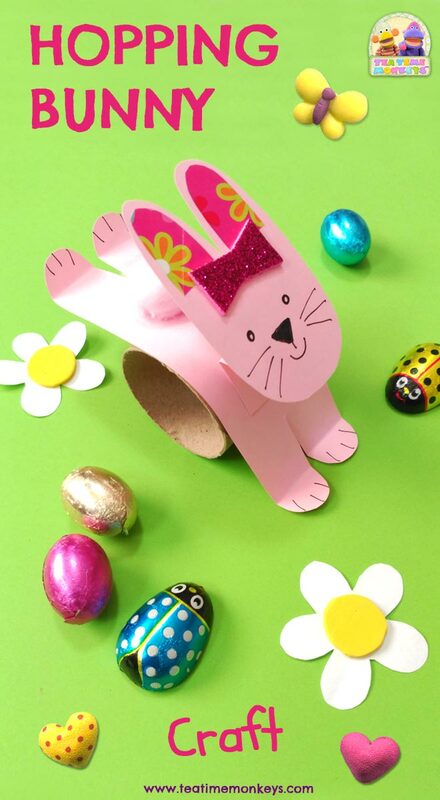 Now have fun making it hop around! Young children will probably need some help with the accordion fold to make the neck. If you’re using cotton wool balls for the tail, make sure you tell kids to put the glue on the body, NOT on the cotton wool! You’ll end up with some very furry glue sticks otherwise!